Steven Parks Goldsmith was founded on the very definition of what has now become a lost art. Learning the trade in true form, Steven became a goldsmith apprentice at age thirteen under his Uncle Joe, who owned a local Denver manufacturing shop. He quickly learned from Joe that to become a master, you have to start from the bottom. Steven spent his early days on his feet for long hours polishing jewelry, while tediously learning the intricate skills of the trade. After feeling that he was finally ready to create his own piece, Steven brought Uncle Joe a drawing of a bracelet he wanted to make. Uncle Joe told him that when he was able to make that bracelet, he would consider Steven as good as himself. 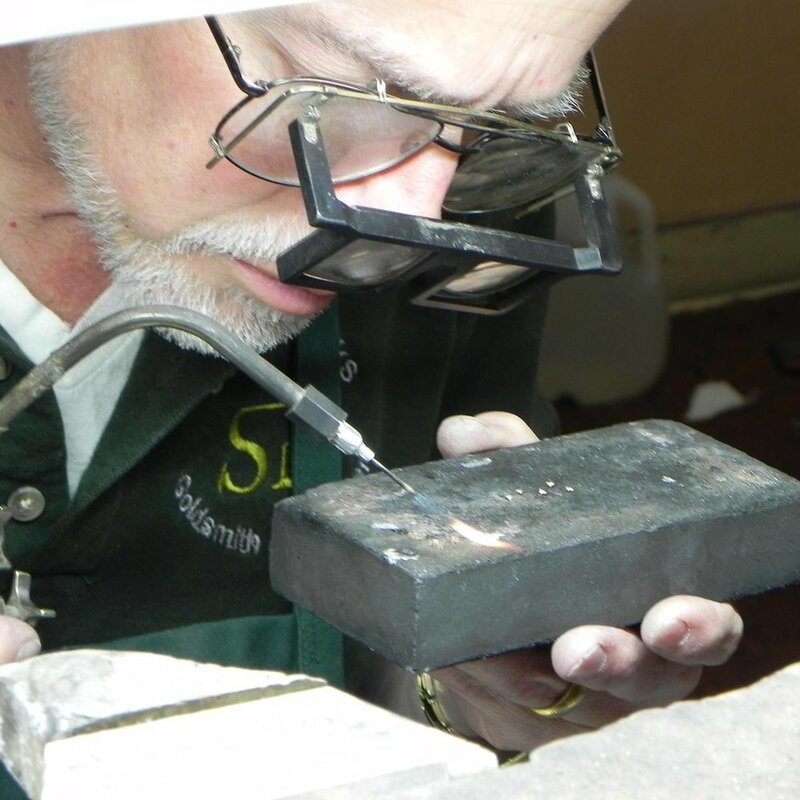 Years later, Steven has created that bracelet in tenfold and has proven himself to be a true master goldsmith, attracting clients from Van Halen to NASA. 1. A yellow precious metal, valued especially for use in jewelry and decoration, and to guarantee the value of currencies. 2. A worker in metals; one that produces something using traditional methods, often by hand.